Ski in the beautiful mountains surrounding Bariloche in the Argentinian Patagonian Lake District. The price includes a private transfer during the trip, 8 nights at a hotel, 1 night in a mountain hut and all restaurant & mountain meals during the trip. Day 1 Bariloche Airport. We'll wait for you at Bariloche airport and transfer to our hotel. After an introduction and gear check, we'll go out to explore the town and have a welcome dinner. Day 2 Catedral Ski Resort. 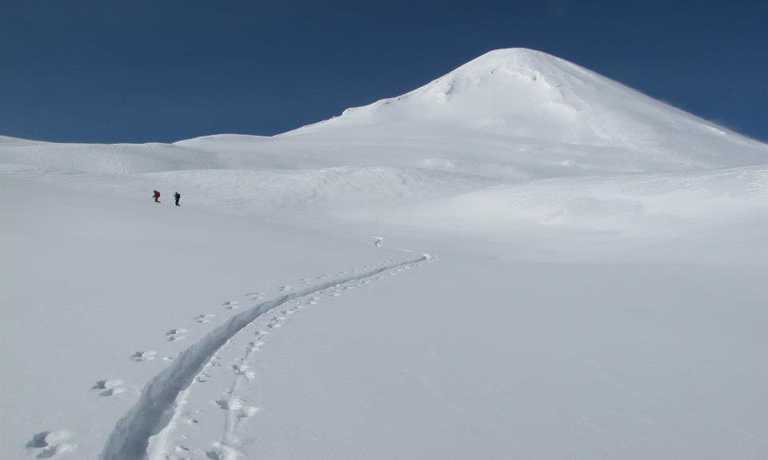 During our first day in the snow our guides will take you to the best well-kept and off piste runs in Cerro Catedral. Day 3 Refugio Frey. After using the resort's lifts, we'll traverse south along the ridge, to descend later to Refugio Frey. 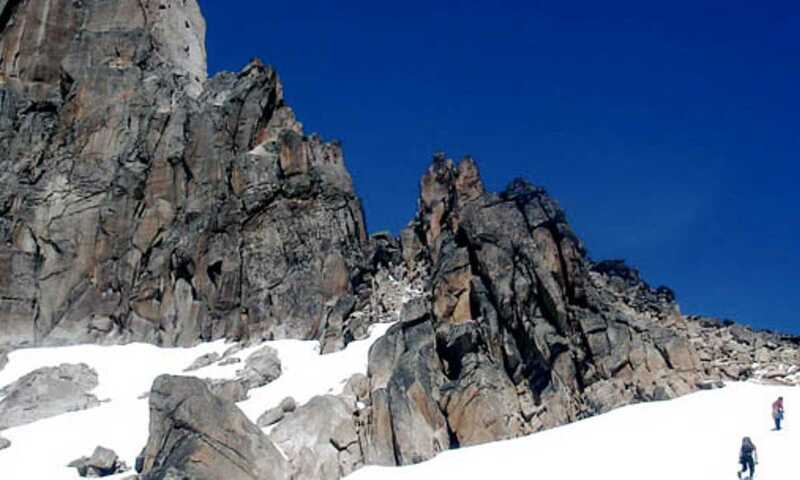 The hut is surrounded by beautiful granite spires and steep slopes. We'll spend the day skiing in this pristine environment. Night in the hut. Day 4 Refugio Frey. We'll wake up for the last few turns around the hut, and later we'll start skinning up to the ridge to descend the resort's slopes. A van will be waiting to take us to our hotel in town. Day 5 Rest day or Catedral Ski Resort. This day everybody has the option to keep skiing with our guides, or enjoy the town and relax at one of the local spas. Day 6 Lanin Volcano. Early in the morning we head north towards Lanin National Park, where we'll start our climb of this majestic 12,200 ft volcano. Day 7 Lanin Volcano. 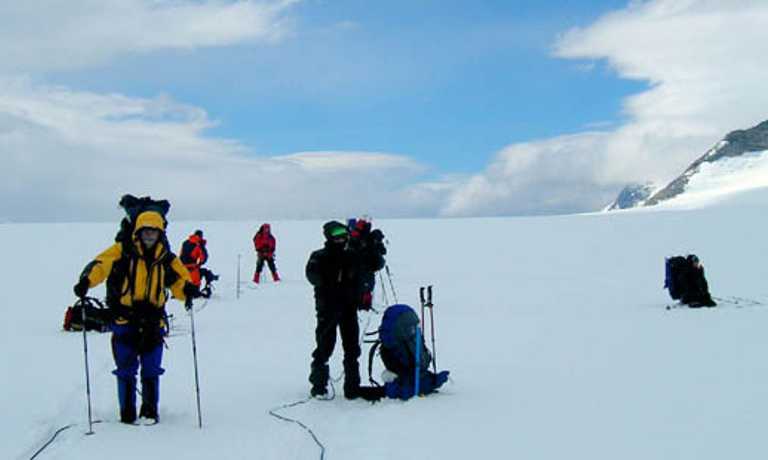 On our summit day, we'll start early climbing with our skis, to reach the summit (4-6 hrs). 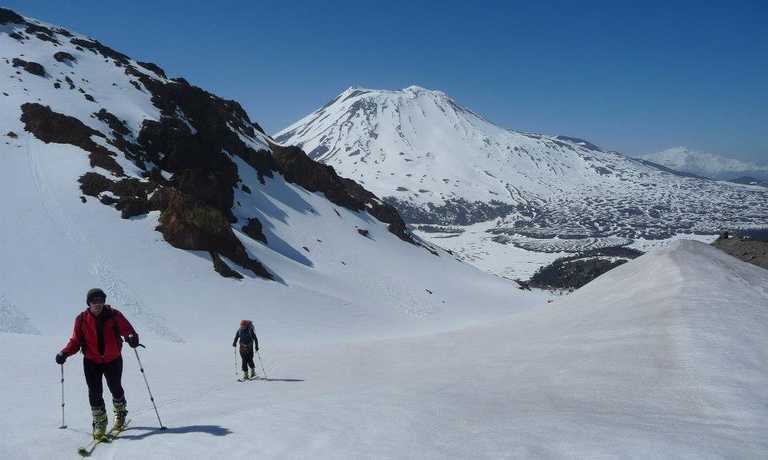 Take a look around and begin a superb ski descent! If anybody chooses to ski around the hut, one of our guides will be with him/her. In the afternoon, we'll descend all the way to the base and head south to our hotel in San Martin de los Andes. Day 8 Rest day or Chapelco Ski Resort. Again, we'll have the option to go skiing to the beautiful Cerro Chapelco or to take a well-deserved rest day and enjoy this lake-side town. Day 10 Flight Home. We'll take you to the airport for your return flight home. End of our services. Price from USD $3,500 per person. This trip can run as a group trip, with prices starting from $3,500 per person for a complete group. If you are looking to join a group or you are a solo traveller we will help to form likeminded groups of travellers. Please let us know your travel plans.